I caught the airplane bug bad from my father and ended up flying many different planes with many different pilots. Although a far more conservative flyer than my father he gave me his love for flying and fixing up old things. Almost every time we moved he would buy a big home that needed lots of work, then fix it up and either keep it as a rental or sell. With properties all over the country he wanted an affordable quick way to get to each. My father bought a Ryan Navion that had not flown for years. 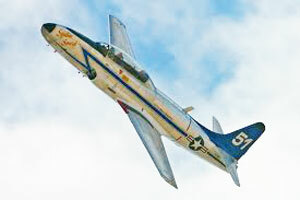 We quickly restored it with a new engine and paint job to look like the original Air Force version. 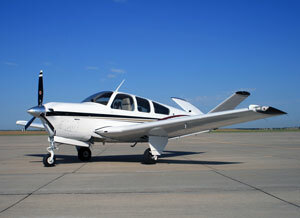 He sold the Navion for a considerable profit which allowed him to buy a Cessna 195 that was one of the few single-engine planes big enough to carry our large family. This plane was near perfect and he bought it from a friend who was getting sent overseas and could not take the plane with him. Although it was fun to fly and let my father keep up with his growing number of rental properties, my father was not happy. He lived to fix and improve things. There was nothing to do on this Cessna except fly it around. 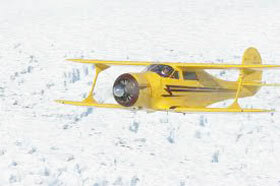 Finally, his dream plane became available and he let this plane go so quickly I did not even know it was up for sale. Being a member of a big aero club that had lots of planes was fun. 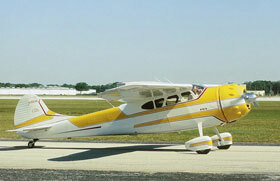 My father loved his Cessna, but found it pretty boring to fly, so he regularly rented different aero club planes. That let me fly in lots of different aircraft. One of his favorites was the T34 WW II trainer that the club had restored. That plane would do magic in the air, especially when flown by a really good pilot such as my father. I was getting a little cocky and felt like I could fly anything. My father showed me there was a whole different class of flying. I both fell in love and absolutely hated my time in the little jet T33 Starfire trainer that the aero club had restored. My father did so many tricks in that plane I ended up losing my cookies when we were upside down. He would not turn the plane upright until I cleaned up my mess. I have never liked that kind of flying and frankly feel the same way about roller coasters. Yuck! As a young man my father was an airplane "nut" and very avid model builder. His favorite plane was the Beechcraft Staggerwing. 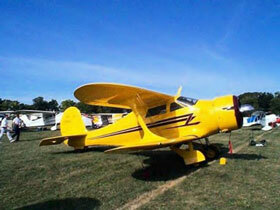 Many still consider the Staggerwing one of the finest flying aircraft that has ever been built. It was the "executive aircraft" of that era used to quickly carry up to five adults meaning "important people" in considerable comfort. With its five huge fuel tanks it could stay airborne for more than eight hours. At a real air speed near 240 miles an hour, that gave it a huge range. As one of the last of the bi-planes it had such a light wing loading that it could take off and land on very short fields including aircraft carriers and was very economical to fly. It became the way that top WW II military leaders were flown all over the country, Europe, and the Pacific theater. He had wanted one of these since being a child, plus like the big Cessna it also had room to carry our large family. My father found his dream plane, a 1938 Staggerwing hanging in a farmer's barn that had not been flown for years. 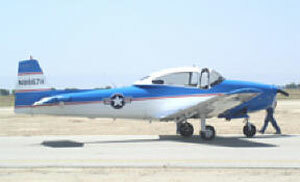 The farmer bought this surplus WW II Navy plane for very little. In spite of being considered one of the best flying aircraft ever, the Staggerwing is not a happy camper on the ground. When taxiing its small rear wheel and tall landing gear put its big engine right in the way making it impossible to see what is in front of you unless you stick your head out the window. In addition to this leaving you freezing and peppered with bugs and sand thrown back by the propeller, its tall narrow landing gear makes this plane unstable. When taxiing the farmer often lost control in what are called ground loops, meaning spin out of control. The farmer twice ruined propellers so gave up and just hung that inexpensive surplus airplane up. We installed a new propeller, cleaned the bird's nests out of the carburetor and flew it back to our local aero club. There we found the engine was not repairable, the lower wings had some dry rot and rodent damage, and the fabric all over the airplane needed replaced. Under the supervision of our club airframe and power plant inspector, my father used his engineering, carpentry and modeling skills to teach me how to rebuild and recover the wings, plus we rebuilt and installed a whole different, much more efficient engine. We also totally redid the instrument panel bringing all up to current technology and repainted the plane exterior to original factory yellow with black trim. My father was then an instructor pilot for the Strategic Air Command, so had pretty regular hours. At least three or four times a week we would get up far before the sun, preflight, the get in at least two hours of flying before he had to go to work and I had to go to school. I earned my pilots license in that plane before I was even legal to drive. Much to my father's upset, he then got transferred to Japan, so our Staggerwing had to go. He found it a new home and just days before we were to leave for a second tour in Japan, an emergency came up and my father got volunteered to go to Mountain Home, Idaho to make repair. He was there less than six weeks and had just purchased a new home for our family when he got pulled in as head West Coast Controller responsible for the airlift used to supply the Vietnam War. My father was sent to Travis AFB in Fairfield California about an hour east of San Francisco. They were instead expecting to retire at Norton AFB in Southern California as they still owned homes and property in Southern California. My father's best friend married my mother's older sister and our families were very close. My aunt and uncle convinced my parents to seriously consider retiring in Northern California and highly recommended Sacramento where they lived. My mother and father had taken advantage of all the free education available through the Air Force and both wanted to retire young and then teach. The only close university was located at Davis California which is about twenty minutes west of Sacramento and closer to Travis AFB. My mother did very well in her clothing design career and was quickly hired as an art professor at UC Davis. With only a short time to go before he retired my father worked out a deal to take over running the UC Davis airport and become their instructor pilot. They settled our family in the little university town of Davis. My father used architectural degree and engineering degree with my mother using her art background to build their dream home in Davis. 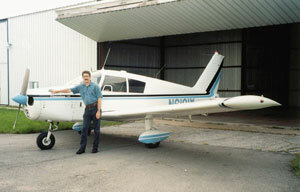 My uncle then owned an Ercoupe airplane and wanted to partner with my father on a new plane. They drove all over Northern California looking for just the right plane, but my uncle's health began to fail. That left my father buying a Beechcraft Bonanza that had been owned by a famous actor. That plane was setup with everything including oxygen, turbo charger, and three-bladed prop so it could fly very high and fast. It was a dream to fly, but was a bit too small for the family. We then got some bad news that my uncle did not have long to live. He was carrying quite a bit of lead shrapnel from WW II that could not be removed and he was dying from lead poisoning. To make sure he left his family in good condition financially, my father helped my uncle start a construction firm in Sacramento. It was one of the first in the area to specialize in "flipping" homes, but they also did some new high end construction building custom homes that my mother and father designed. My father was still in the Air Force full time, but he did oversee that new firm to hire a pretty successful team. Within a few years they had made enough that my uncle was assured of having a fully paid for home with enough paid for rental homes to support his wife and three children. Others in this area were so impressed with the cabinets that their firm became a cabinet maker of choice for local custom homes. I got to work both building homes and in that cabinet shop in high school. 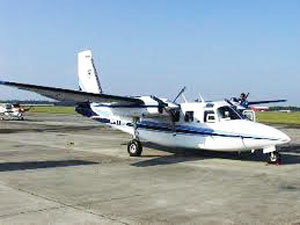 Meanwhile the Bonanza turned into an Aero Commander as pictured here. That was an amazing plane to fly and let me start building up some multiengine flight hours. Sadly, that plane had more problems than my father had time to fix, so it turned into a Piper Apache twin that easily carried our whole family. My father really liked the Piper Apache, particularly after it was upgraded with some amazing conversion kits that gave it a much more streamlined pointed nose and made it fly much faster. 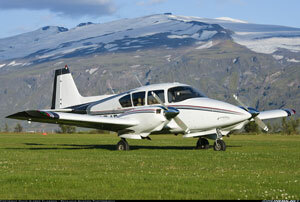 With the conversion kits and larger motors it outflew the new Piper twin plus had more seating capacity. My father decided to buy one as a project that he would keep at the UC Davis airport. One of his good friends upon retiring had purchased a Piper dealership in the San Francisco Bay Area and knew of just the right plane. He knew of a Piper Apache that had sat for a long time and was pretty dated, but could be had for a small price. My father by that point was going a little crazy working full time for the Air Force managing the Vietnam War air supply, running two different construction firms, managing lots of rental properties, and was seriously considering becoming a partner in a large Southern California development company. He just did not have the time to make the conversion or refurbish this plane himself as he dearly wanted to do. He sent this one out to have it professionally restored and converted. That conversion went on and on with lots of unexpected problems and expenses. Meanwhile my father retired only to be told UC Davis did not want either him or my mother to teach. The school had become violently anti-everything and everyone associated with the Vietnam War. The Watts riots in Southern California caused my parents lots of problems leaving too many vacancies in their Southern California rental properties. Things were not much better in Nothern California as the closure of most of the NASA programs killed the local real estate market, especially for high end homes like my parents owned. To add insult to injury the City of Davis rezoned the property behind my parent's custom home for high density apartments instead of single family homes further dropping the home value to far less than what they had invested. My father went to work as vice president for one of the large defense contractors and the whole family except me moved to Southern California where they wanted to retire. I continued to finish high school and attend UC Davis. The defense contractor he went to work for soon closed their doors, so my father went to work as a senior airline pilot and examiner. Still wanting to fly I became a member of the UC Davis campus aero club. They only had a couple of dated trainers, but one of my physician friends let me fly his Piper Cherokee 140. 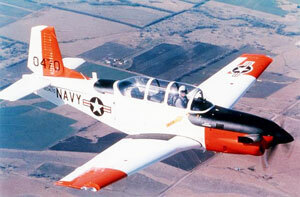 I flew that for another few years but gave up private flying after my 1970 tour in the Vietnam War. I returned home to find that my father had been forced to give up his airlines job because he was losing his sight. No longer able to fly he let this plane go and retired from flying. He was able to restore his sight as one of the first to receive lens replacement surgeries, but neither he nor I returned to flying privately.